Following on the heels of her presentation on Friday at the 66th Annual Scientific Sessions of the American Diabetes Association, Dr. Mary Vernon agreed to give the "Livin' La Vida Low-Carb" blog an exclusive interview regarding the incredible new Duke University study results that found people with Type 2 diabetes can almost completely control their disease with the Atkins diet. Dr. Vernon is a woman who has dedicated her life to helping people fight obesity and diabetes and is one of America's foremost experts on both subjects. I had the distinct privilege of meeting her in January at the Nutritional & Metabolic Aspects of Carbohydrate Restriction conference in Brooklyn, NY and was most impressed by how clearly she articulates what she believes and why she believes it. I think you'll sense that as you read my interview with her as we discuss Type 2 diabetes, the work of the late Dr. Robert C. Atkins, the need for more low-carb research, the treatment of low-carb in the media, the safety of the Atkins/low-carb nutritional approach, and what people who support the low-carb lifestyle can do to help educate people about the life-changing health benefits of livin' la vida low-carb. 1. Dr. Vernon, thank you for agreeing to be interviewed at my blog about this exciting news about a new study that looked at various treatment options for people with Type 2 diabetes. And lo and behold, look what they found was likely the "best solution" -- The Atkins Diet! Are you surprised? Why or why not? It’s not at all surprising that controlling dietary carbohydrate controls Type 2 diabetes. In fact, Dr. Atkins understood this connection for many years and had been using his nutritional approach to help people with diabetes for decades. What does surprise me is that this appears to surprise the scientific community. When I became frustrated with my ability to help patients by giving the standard advice I was taught in medical school, I pulled out my biochemistry textbook and read it again. (I got a good grade in that class the first time, so I am certain I read this chapter in 1974.) I was amazed at the discussion of the effect of dietary carbohydrate on insulin secretion. Right there, in my old textbook, it was clearly stated that dietary carbs caused insulin levels to rise. How did this information get deleted from everyday medical knowledge? 2. You worked alongside the late Dr. Robert C. Atkins as he attempted to battle the twin epidemics of diabetes and obesity for most of his career. What is it about the Atkins low-carb approach that helps people manage their diabetes so well and also lose weight in the process? You mention that Dr. Atkins and I worked alongside each other. Actually, we worked in parallel paths. 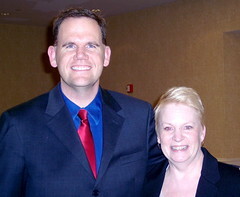 Both of us used carbohydrate control to help patients in our practices. I read all the available approaches and thought the approach that he outlined would work the best for my patients. Carbohydrate control is the best way to manage both types of diabetes -- the type with high levels of insulin secretion (usually called Type 2) and the type with no insulin secretion (usually called Type 1). In the case of high insulin secretion, low levels of dietary carbs bring the insulin levels down, which stops your body from storing fat and allows your body to begin to burn fat. This allows your body to begin to return to normal levels of blood sugar. In the case of diabetes caused by absent insulin secretion, the patient can maintain blood sugar levels within a range that avoids either the lows or highs usually associated with the need for insulin. Insulin administration can be at the lowest dose possible with blood sugar numbers showing excellent control. This helps prevent or delay the usual complications of diabetes like heart attacks, strokes and kidney disease. 3. Diabetes has grown to astronomical proportions with 73 million, or 1 in 3, Americans who are either diabetic or pre-diabetic and the numbers are expected to get even worse in the next decade unless something drastic is done to reduce these numbers. The preponderance of the evidence is continuing to show that the low-carb nutritional approach may just be the answer diabetics have been looking for. With study after study (including this recent one) coming out pointing to the Atkins diet as an effective way for diabetics to greatly reduce and even eliminate their dependence on insulin and other medications, what is it going to take to finally convince health care leaders, government health officials, members of the medical community, and the general public to embrace this healthy way of eating to take on diabetes and obesity? I wish I knew what is needed to get the scientific community and the government to support implementing this simple, life-changing intervention for Americans. There are several issues that may contribute to the confusion: The USDA Food Pyramid is designed to support the agriculture industry (USDA) and is not based on any scientific studies. This is what we teach our children in school. It is also what national organizations use to build their recommendations. Additionally, the medical establishment customarily resorts to drugs for every problem. So you can see why little support exists for such a simple, impactful treatment as I outline in "Atkins Diabetes Revolution." 4. Speaking of your book "Atkins Diabetes Revolution," which you co-authored with Jackie Eberstein, you've been talking about this method for treating diabetes for years. Now that the research is catching up to the ideas you put forth in your book, do you feel somewhat vindicated? What do you think Dr. Atkins would think about all of this research coming out in favor of his diet if he were still around today? I’d love to feel vindicated. Instead, I see the many changes that need to be made. Insurance companies and national groups that make recommendations about patient care could save many lives and dollars in care and medication cost if physicians were encouraged to use this technique. Physicians do need to be trained in this method -- it works so well that most physicians aren’t aware of how to manage patient’s medications when using carb control. As for Dr. Atkins, I remember when he agreed to fund the study that Dr. Westman just presented at the ADA. I know he’d be pleased. I suspect he’d still be frustrated with the slow progress in getting this important tool into general use. 5. You said in a statement that there are "competing business interests [who have] misled Americans" about the Atkins diet in the past few years. What are these business interests and what have they said or done to mislead the American people about the Atkins diet? The American public allowed the media buzz around companies which made “low carb” products to influence it’s perception of the benefits of carb control. We need to be smarter than that. The science of how carb restriction controls blood sugar metabolism should be on the front page, above the fold news. After all, you’re the one who cited the horrible diabetes statistic -- 1 out of 3 Americans now alive will have the diagnosis before they die. It’s a tragic waste of human and public resources and it does not have to happen. More medicines and more medical procedures are not the answer. Carb control is. 6. The media has had a powerful influence on public perception of what the Atkins low-carb diet is all about, but they haven't gotten it right for the most part. Can you briefly explain the basic concept of the Atkins diet clearly for people to understand? What is the truth about low-carb living? You are correct that many people think they are using carb control, but aren’t actually doing it. They learned from a friend or relative who told them about how to eat bacon cheeseburgers. (“You mean I’m supposed to eat it without the bun?") It's not fair blaming low-carb for outcomes that occur when low-carb isn’t actually done. You must eat protein. Mother Nature packages protein with fat and that’s a good way to eat -- exactly the way Mother Nature packages food. So leafy greens with a nice olive oil and vinegar dressing and a biologically complete protein with the fat left in is perfect. The protein does not need to be meat or eggs, but that is the easiest way to get high quality protein. This is the simplest way: Take out the carbs except for leafy greens, eat protein and fat until you are full, not stuffed. Some patients will require a more elaborate set of instructions or calculations to be successful. This is usually due to their disease process, which may have advanced to the point where additional help is needed. The truth about low-carb living is that it is accessible and rewarding. You feel better and you become healthier from doing it. 7. What do you think it is going to take to convince the general public that the Atkins diet is one of the safest and healthiest eating methods available to them today? The public mistrusts doctors in general but believes their personal physician above most other sources. I think that when physicians start telling patients that the Atkins Diet is okay, then patients will believe that. Physicians are restrained from recommending low-carb because the insurance companies and the national health organizations tell the doctors what approaches they are allowed to use. Interestingly, the ADA, American Journal of Clinical Nutrition and NAASO issued a joint statement about a year ago which may help which says that low-carb diets have a greater impact on glycemic control than other diets and that diet therapy should be individualized. This may help pave the way for physicians to begin using this approach with their own patients. 8. Are there any special projects and/or organizations you are currently affiliated with outside of your own patients you see who are fully dedicated to helping people take on their diabetes? In addition to my private patients, I am medical director for Dia, a company working to bring low-carb treatment and education to patients and physicians. I also serve as a consultant for Veronica Atkins in teaching physicians and researchers about the clinical use of this approach. 9. Do you think the Atkins diet should change its name because of the stigma that the media and opponents of low-carb have put on this way of eating? If so, then what should we call the diet consisting of eliminating sugar, white flour, processed foods and starchy foods that allows you to eat healthy fruits, vegetables, nuts, meats, cheeses and eggs? Or do you still think there is a chance that people will eventually warm up to the real Atkins diet again? This is a difficult question. I believe in giving credit where credit is due. 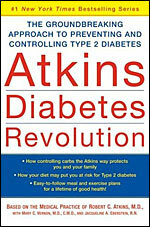 Dr. Atkins clearly said that he read an article which started him using a low-carb approach. Dr. Atkins figured out how to teach patients to do this in an easy to remember, easy to do way. He should get the credit for that. You are right about the stigma attached to the “Atkins Diet." If you showed a sample “Atkins” meal to many nutritionists, they would think of it as healthy. But if you tell them it is a sample Atkins menu item, then it is automatically poison. I don’t know how to resolve this. I would hope that the burgeoning body of scientific evidence will allow many to see the benefits of this method. As an additional rant, the article in the Washington Post this weekend about the American Diabetes Association conference being all about how physicians aren’t treating patients intensively enough to control their risk factors (such as hypertension and abnormal glucose levels) and what is being recommended is to add more drugs. Doctors aren’t prescribing enough drugs?! Of course, no mention is made of the complications that come from adding drug on top of drug, or the cost to patients or our country’s pocketbook. Let’s recommend another drug to someone who must chose between buying the medicine or buying food. Why do we do this? In this same conference was Dr. Westman’s presentation (which cited my research findings) showing patients with normal glucose numbers off of medications. There was no coverage of that finding (except for this blog). Why would doctors not want people to buy food instead of drugs? The cost of the recommended drugs for a metabolic syndrome patient is $550.00/month. How much healthy food (including leafy greens and protein sources) could someone buy for $550.00? Enough to eat well and decrease the need for drugs, as well as to reverse the progress toward diabetes. Your readers need to know that the scientific information available is based on what problems are studied. No dollars, no science. No science, no acceptance. Who pays for low carb studies? So far, The Robert C. Atkins Foundation has funded many of these early trials. We need NIH dollars to fund this research, but they have held back so far. So the criticism the Atkins diet get that there is a “lack of scientific evidence” to support it is a real conundrum. How can we get the science to support it if we can’t get funding for the studies to research it? 10. How can people who support the Atkins Nutritional Approach help you and others who are on the frontlines get the message out to the masses about livin' la vida low-carb? Is there anything specific that my readers can do to effect real change within their sphere of influence? Here is one action I think would be helpful: Write your Congressman and tell him or her that you want to see funding for low-carb (defined as less than 50 grams of low glycemic carbs/day) studies as part of the NIH budget. They will tell you they have no influence on that, but they do have influence. You should ask for them to provide a full public disclosure of their position on this issue. THANK YOU, Dr. Vernon, for having such a heart for people to know the truth and for being unafraid to share with your patients what livin' la vida low-carb can do to help them manage their diabetes and overcome their obesity. You are a true hero to those of us who support low-carb and we salute you as an able-bodied ambassador to continue championing this amazing way of eating for many years to come. There are millions of us who will continue to serve as examples of the life-changing effects of the low-carb nutritional approach so that others can experience the gift that we have been given. I reckon this interview could inspire someone to handle their diabetes the low carb way! You may have just saved someone's life! Thanks, Jimmy. I'm having a difficult time losing weight on Atkins at 20 gms. carbohydrates a day (I've beat out your 10 week stall), so Brad & I made an appointment to see Dr. Vernon in her office in Lawrence, KS, 2 months ago. It has been a slow process, but finally today, she & her nurse Melissa got back to me via telephone on some dietary changes - specifically I need to up my protein level. First diet I have even been on that required me to eat more food! It is going to be a challenge to eat 115 gms of protein a day minimum....might have to resort to you 1/2 dozen eggs each morning! Dr. Vernon is a lovely lady & does have a heart for us fat people. I'm praying she comes up with the answer to my problem! Dr. Vernon is an amazing woman and will help get you on the right track. It is incredible how much you can eat by livin' la vida low-carb, but it is all to make you a healthier and skinnier person. DON'T EVER GIVE UP, Sherrie! I'm praying for you and KNOW you can do this! I run the website http://www.dsolve.com and this is a great interview!! I have posted a link back to it from my site. I have to push the solution that has given me normal blood sugars and that is from Dr. Richard Bernstein (http://www.diabetes-book.com). If you haven't read it do--it is more informative towards lower carbohydrate diets as a treatment for diabetes then a generic atkins book would ever be. Dr. B is a VERY healthy Type 1 of 71 years. Thanks for this interview and post.